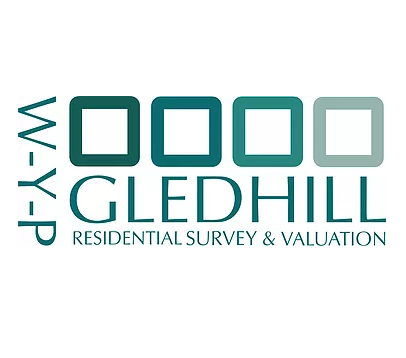 W-Y-P Gledhill are a professional and reliable Yorkshire based firm of Chartered Surveyors. Established in 2003, we are regulated by the Royal Institution of Chartered Surveyors (RICS) with RICS Registered Valuers, and via reallymoving, we provide estimates for the full suite of trusted RICS designed Home Surveys to private customers. We are a small business, and we take great pride in our excellent reputation. Toby Gledhill, W-Y-P Gledhill’s director, is a member of the Royal Institution of Chartered Surveyors and the Chartered Institute of Building. He is also a qualified Domestic and On-Construction (new build) energy assessor, so any survey inspections can double up with the production of an Energy Performance Certificate (EPC) while on site, if needed. In addition to providing RICS Home Surveys and EPCs, Toby works as an Expert Witness, Construction Project Manager and CDM Co-Ordinator, as well as providing bespoke services such as Planning and Building Regulation approval applications, Party Wall Act notices and Boundary disputes. He lectures part time at his local Wakefield FE College, works as a consultant general practice surveyor at his local housing association, Wakefield & District Housing, and is contracted to the government’s English Housing Survey (EHS). As a local business, covering Yorkshire only, W-Y-P Gledhill can provide the care, attention and advice to our customers that we believe they would want. In respect to any property purchase, we want to ensure that you are happy moving forward with your purchase and if necessary, have the relevant detail to further negotiate your proposed purchase price. We take pride in our extensive local knowledge and our excellent reputation, the feedback for which can be viewed here on reallymoving, and elsewhere. We will only accept commissions when we have both the time and necessary expertise to carry them out to the highest possible standard, no matter our client’s size or perceived importance. Toby provided a great service - professional, efficient and very helpful. Would definitely recommend him! Fast efficient response to request. Thorough survey and honest assessment of the property and valuation. We're delighted with Toby's service and contact with us throughout. Very professional. Happy to recommend . Very efficient and thorough. No hassle at all. Toby was approachable, available, friendly, and informative at all times. Within a week of my initial inquiry, he was on site doing the survey for us, and only 2 working days later the report was with me. Building survey was comprehensive and informative. Very efficient service provided by Toby. This is a small local firm who are able to be very responsive and flexible. The surveyor's reports are very clear and professional. They are happy to give advice, explanations or clarifications on the phone regarding the report contents. I used the firm three times overall (including the original introduction through reallymoving.com). On one occasion I most likely saved myself £30k by NOT buying an overpriced new build. Excellent service from start to finish. Quick and professional. Would recommend. Service carried out quickly and efficiently. Toby was super-efficient and extremely helpful. He arranged the full building survey on Monday and returned the report to me on next day afternoon. I’d definitely recommend using this business.